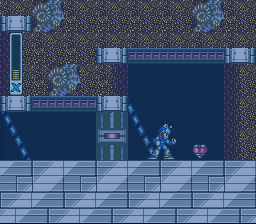 Capcom’s Mega Man X will start the game with the very minimal health but there is a way to acquire special gear that will help improve health levels. Scattered throughout the 8 stages are hidden sub tanks that will need special tricks and know-how to find them. 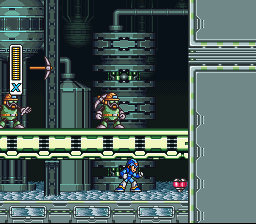 They will act as a separate health bar for Mega Man X and can be used to stockpile energy before a boss or challenging fight. In this guide I will share where to find each item, as well as the tricks you will need to pull off to obtain them. 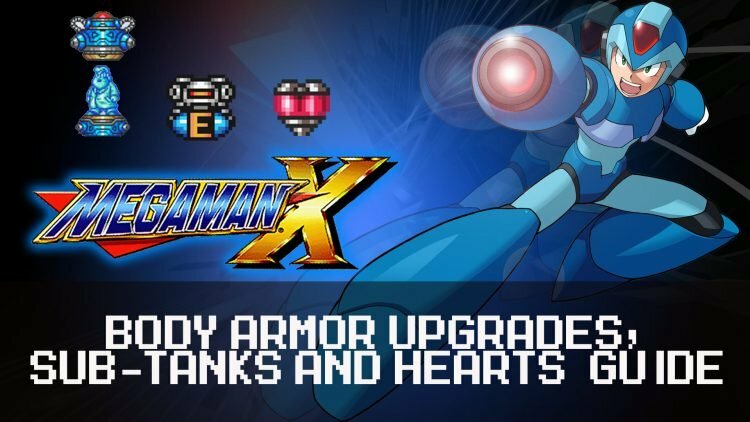 There three types of upgrades you can gain from different stages in Mega Man X, these include body armor upgrades, heart tanks and sub tanks. 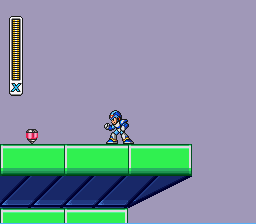 Each will help tweak Mega Man stats with either permanently increasing health, increase abilities or help to refill health bars at opportune moments. Scattered throughout the 8 stages are hidden body upgrade capsules that will need you to perform special tricks to find them. 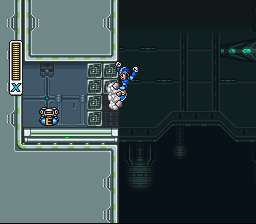 They will permanently increase the abilities of Mega Man X. The following locations and how to acquire them are below. Cannot be missed; located about midway in this stage. There will be a hole close to the start of the level that can be jump in. Climb the right wall and head above the cave area to arrive at a small area. There will be a mini boss that must be defeated to obtain the upgrade capsule. Use Boomerang Cutter to take out of the mini boss in no time. Once players have passed the rising and falling platforms, there will be a metal mesh wall that must be climbed. Instead of jumping to the next platform at the peak of the wall, fall down towards the right side of the wall. Use the dash jump to reach a ledge with flammable containers. Shoot the containers and head into the room to find this upgrade. Once the level forces the player to head downwards. Head towards the lava, there will be a platform players will need to use the dash upgrade to reach some breakable blocks. Use the helmet or leg upgrades to break through them. Alternatively, players can obtain it in Sigma Stage 1 once Vile has been defeated. 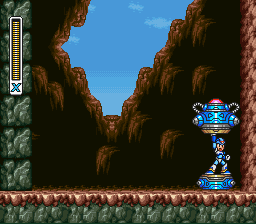 Scattered throughout the 8 stages are hidden heart tanks that will require special tricks to find them. 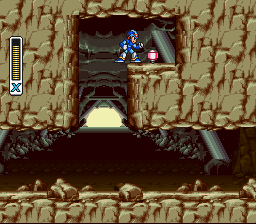 They will permanently increase the energy/health bar of Mega Man X. The following locations and how to acquire them are below. After killing the first Mega Tortoise, there will be a wall you should climb to find the Heart Tank on a ledge. Use the dash to jump off the wall to get on the platform. Players can also use the Boomerang Cutter to scoop it if they wish. After players pass the second mine cart, there will be a gap. Equip Flame Wave and drop down to eliminate the Mole Borer with Flame Wave. The Heart Tank will be located on a platform above. Head past the second Anglerge, the large angler robot, there will be 2 funnel like tubes. Jump into the second one which is the tallest one, and take it to the surface. There will be a green ship you will have to jump onto and then destroy by shooting the blue orb. Stay on the ship and it will lead you to an underground area where a mini boss lives. 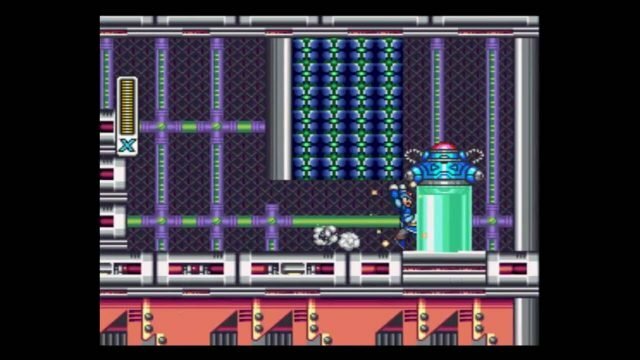 The weakest parts of the snake robot are his head and tail, so use Storm Tornado aimed at those parts or charged Mega Buster shots. Once defeated, head to the right and grab the Heart Tank. Located on a small balcony platform on the exposed section of the area. 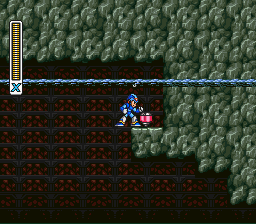 Use the charge shot of Shotgun Ice to create a platform for Mega Man to jump from or use the Boomerang Cutter ability to have it pick it up for you. Just before the tunnel there will be a pit, jump into it but cling to the wall as you go down. Use your legs upgrade to destroy some breakable blocks. 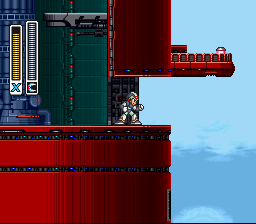 From there, stand at the edge of the platform and dash jump over to the Heart Tank. You will need to make sure you have completed the Launch Octopus’ stage or there won’t be any water in the pit. 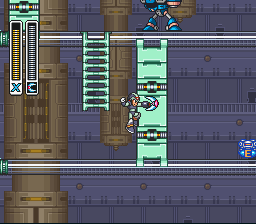 At the very top of the moving platforms near the start of the level use the dash jump to hop to the left. If done successfully players will land on a roof where a Heart Tank is located. Defeat Chill Penguin then progress through the level until you run into pick axe throwers. 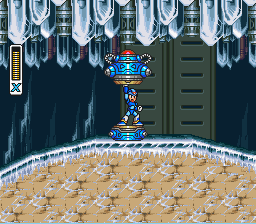 Run across the now ice covered floor, to find the Heart Tank tucked in the bottom right corner. Its possible to use the Boomerang Cutter to scoop it up. Once players encounter the stage where they can access Ride Armori. Get in, ride it to the cave where a blue column will be. Jump while inside the suit and exit from it mid-jump to arrive at the ledge. Use Fire Wave to destroy the mosquito bot igloo generator and the Heart Tank will be inside. 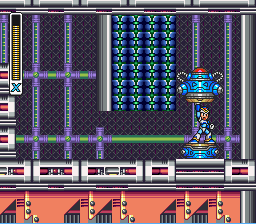 Sub Tanks are permanent items that players can obtain for Mega Man X. They can be found in 4 different Maverick stages. Sub Tanks can be used at any time to refill player’s health bar. 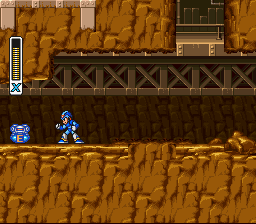 When starting the level, players will have to slide down a wall where a large plower robot lies in wait. 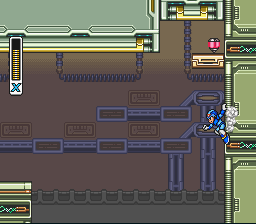 Slide down enough to trigger his activation and jump up the wall to safety as he digs away. When the coast is clear, head where he was previously stationed to find the Sub Tank. Head right from the start of the stage, staying on the bottom most part of the level. There will be a deadend and the Sub Tank will located behind the wall. Use the Boomerang Cutter to grab it and have it bring it back to you. 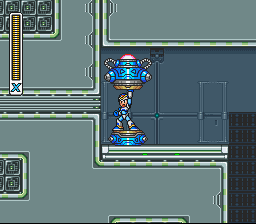 From the start of the stage make the first climb upwards, you will then find a turret perched on a small platform. Take it out before trying to stand on the platform. 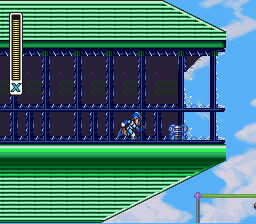 The platform will move upwards, giving the player a clear shot of several large windows. There will be a flamethrower enemy hidden along with Sub Tank so watch out for this. 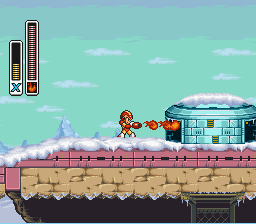 Located in the large area with several platforms, lava will be on the ground near a 1-up life. Head left, dash-jump over and then wall jump to destroy the breakable walls to obtain the Sub Tank.